Suitable with brother 5240/5250/7360, dcp-8060, dcp-8065dn, hl-5240, hl-5250dn, mfc-8870dw. Compatible With Brother TN-2130 Laser Toner Cartridge Printer(s) Brother HL-2140, HL-2142, HL-2150N, HL-2170W, DCP-7030 . Owing to a modernized infrastructure for trouble-free processing & post-production, we are instrumental in offering Brother Printer Toner Cartridge. The offered cartridge is manufactured using high grade material and sophisticated machines in compliance with set international norms. - Best4U 2365 toner cartridge give an excellent and best quality print in your machine. 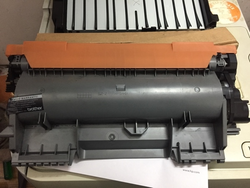 - Best4u 2365 toner cartridge is a genuine product offering fast, hassle free printing producing superior quality and consistency for a wide array printing needs. As a Brother Authorized Dealer we are offering the brand synonymous with high-quality office product technology and offer our customers high quality laser cartridges that are sourced from the world renowned manufacturers. With their association, we are able to supply different types of colored and black & white cartridges. At Greenvolution we pre-remanufacture many popular cartridges and have them in stock for immediate purchase. Toner Refilling services for hp, samsumg brother printer toner cartridges.